At the Geneva Motor Show 2018, Ferrari has launched a new supercar figure named Ferrari 488 Pista. Yes, these supercar is the successor to the spirit of Ferrari's V8 engined models, such as 360 Challenge Stradale, 430 Scuderia, and 458 Speciale. And 'Pista' is an Italian word which means 'track' or 'get out the way!'. Either is appropriate. 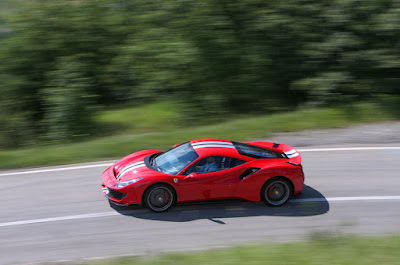 In the company press release, Ferrari stated that the car is more powerful and much lighter than 488 GTB. Indeed, Ferrari 488 Pista has lighter weight up to 90 kg, and its dry weight is claimed for 1,280 kg. 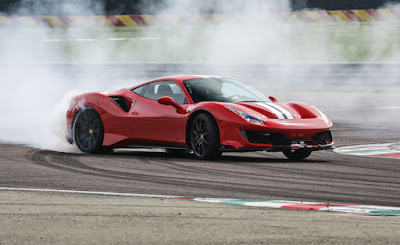 To make this car run fast, then Ferrari plant a biturbo V8 engine with a capacity of 3.9 liters. This engine is claimed as the lightest in its class and most powerful engine in Ferrari history. 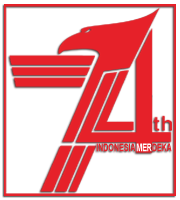 By adopting 488 Challenge technology, such as Inconel exhaust manifold as well as crankshaft and lightweight flywheel, but also thanks to additional features such as titanium con rods and carbon fiber airflow intake. The total power generated reaches 710 hp with torque also larger 10 Nm from GTB to 770 Nm. 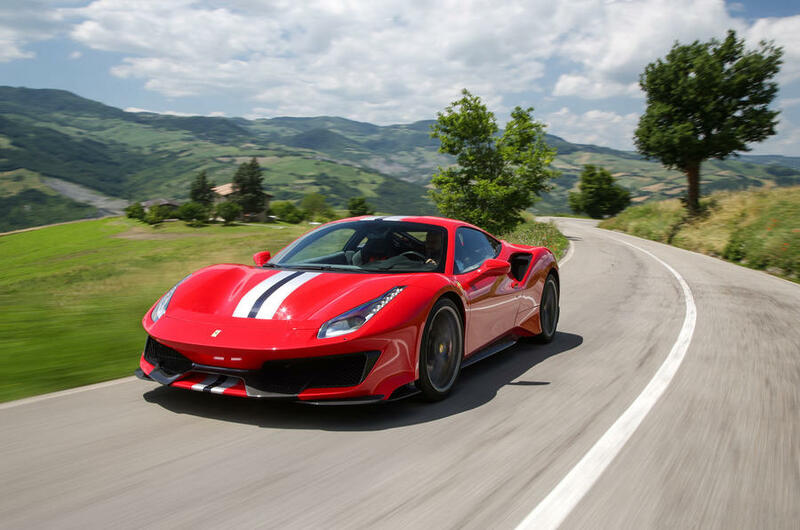 Ferrari 488 Pista fully utilizes Ferrari's experience in motor-sport for maximum aerodynamic performance even on the highway. Some of the adopted racing technologies are the F1-inspired S-Duct and front diffuser design with optimized angled angles to improve downforce. The vortex generator under the car body has also been reengineered, and the rear diffuser uses a dual stand to improve air extraction and generate downforce. 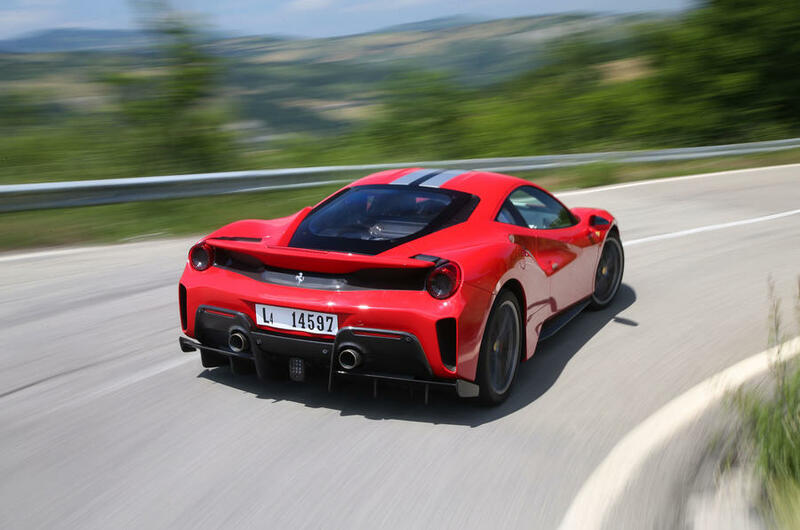 In addition, the rear spoiler of the Ferrari 488 Pista is also made higher and longer. The result is a 20% increase in downforce. 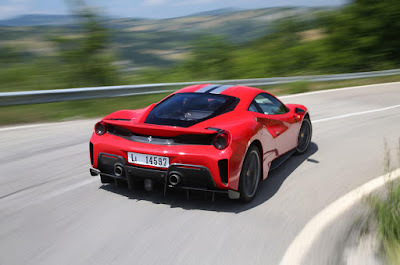 Ferrari 488 Pista adopts technology of Side-Slip Angle Control 6 (SSC 6.0) which combines all the following systems: E-Diff3, F1-Trac, Supply Chain Management (SCM), and Ferrari Dynamic Enhancer (FDE). As already known that FDE uses the software to adjust the brake pressure on the calipers. This additional level of control improves the performance of the 488 Pista as cornering and makes car control much easier. Ferrari 488 Pista only takes 2.85 seconds to accelerate from rest to a speed of 100 kph. And acceleration 0-200 kph is only 7.6 seconds and the highest speed reaches 340 kph. As a comparison, the Ferrari 488 GTB can accelerate from 0-100 kph in 3 seconds, 0-200 kph in 8.3 seconds and a top speed of 330 kph. 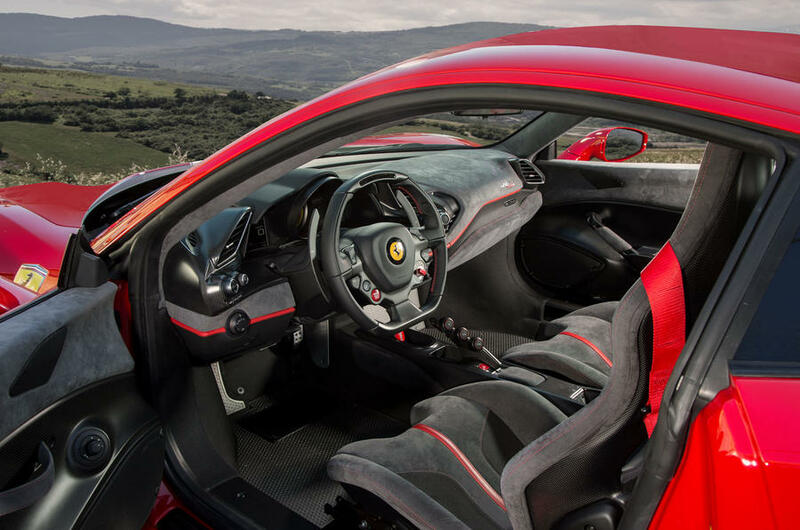 The Ferrari 488 Pista cabin tends to be spartan. No luxurious leather, only Alcantara and carbon fiber, even the carpet is not installed. Everything that Ferrari thinks is unimportant is discarded to pursue the light weight. But, the bucket seats are standard, including racing seat belts. 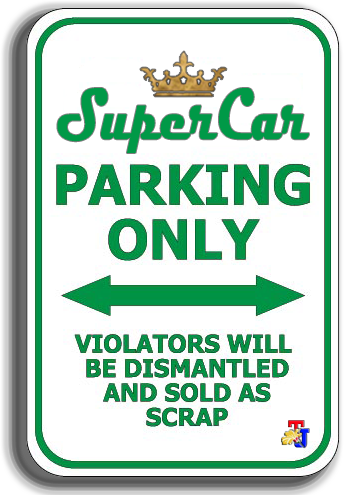 Well, at least there's still air conditioning and an entertainment stereo system to cheer up a bit while you drive with this car. On the legs, the Ferrari 488 Pista is wearing 20-inch sized rims that is 40 percent lighter than the standard, and wrapped Michelin Pilot Sport Cup 2 tires, and ceramic brake package is lighter as well. While the new bumper design has got a significant change thanks to a stronger aerodynamic package, as well as headlights given dark colored accent so that the aura of aggressive look more pronounced.